Summary: This lovely walk has been submitted by Denis, a walks contributor to the Walking Englishman. 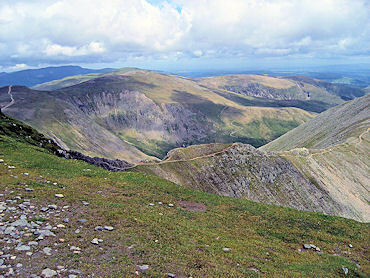 I am envious of the conditions he enjoyed to do this spectacular Lake District walk which starts from the car park in the hamlet of Wythburn and begins with a vigorous climb up to the Helvellyn summit before descending north and west to the Swirls and then through woodland and forest back to the start. 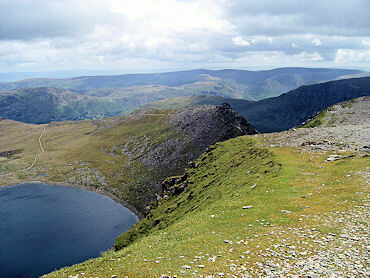 This route is probably the easiest and most direct route to ascent Helvellyn. It is also one of the shortest and by its very nature a steep climb. While it does not feature the drama and dangers presented by Swirrel Edge and Striding Edge it does afford some magnificent views in clear weather. 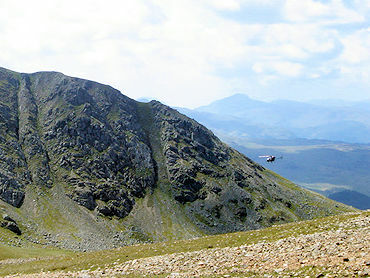 Having said that it is important to remember it is a mountain with a summit at 3118ft and needs to be treated with respect particularly during inclement weather. 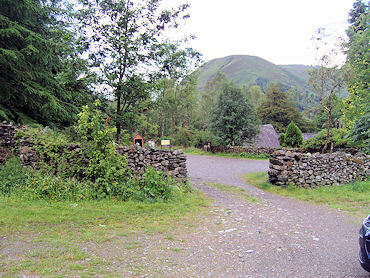 The walk starts at Wythburn car park found at NY324136 just off the Grasmere to Keswick road. Remember to bring money, including change, with you. There is a charge for parking up here. From the car park take the gate at the top end of the car park and turning right start the steep climb up through the forest. Continue straight up past a cross path following the sign to Helvellyn. On clearing the conifers continue up the open fell on the clearly marked footpath with Comb Gill over on your left. The path zig zags as it negotiates Comb Crags to pass Birk Side. 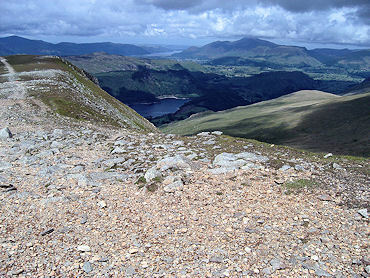 As you climb take the opportunity to look back at the views over Thirlmere and across the Western fells. 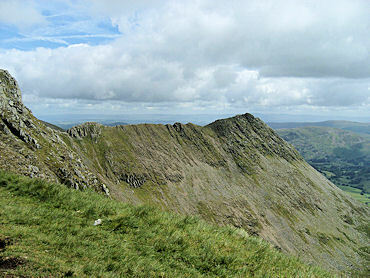 The path to the summit is now clearly visible as it progresses to the col between Nethermost Pike and Helvellyn and it is at this point you gain a magnificent view of Striding Edge. Just a short walk now to the stone cross shelter which is about 150 yards before the trig point at NY 342151. 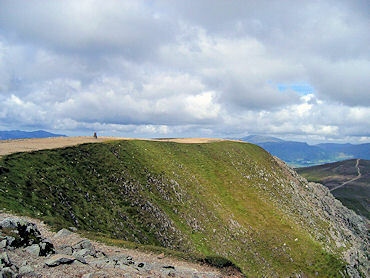 Leave the summit in a west north west direction to grid reference NY331156 at Lower Man. It is at this point the very steep descent commences down Browncove Crags to arrive at Swirls car park NY316168. You now have a 2 mile walk back to meet the outgoing cross path and then drop down to Wythburn. The low level track back to the start is a mixture of forest roads and a narrow undulating path through the trees. After heavy rain the track can look like a river in places with quite dramatic waterfalls. 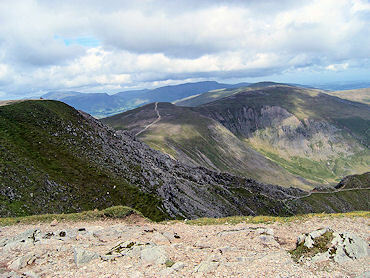 And thats it, the finish of a quite short but satisfying walk in the north east of Lakeland.